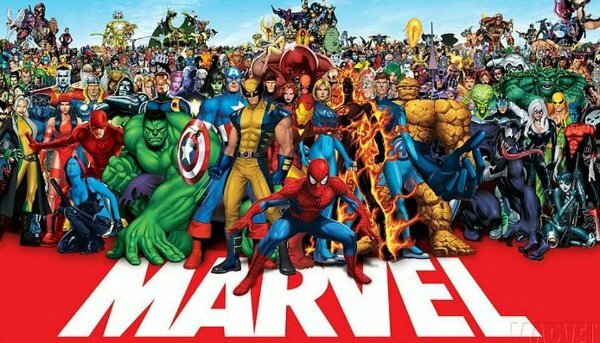 Comic-book movie fans who have been paying attention to maneuvers behind the scenes and off of the screen have been pointing out possible moves made by Marvel to reduce the power and influence of the once-powerful superhero brands of The Fantastic Four and The X-Men. Even as Bryan Singer continues work on his latest X-Men movie and Josh Trank prepares to promote his Fantastic Four movie, mounting evidence stockpiles that shows Marvel is phasing out characters who the studio doesn’t have movie rights to, starting with the recent 2015 hero lineup poster. As pointed out by the good folks over at Bleeding Cool (who shared this poster), you can’t find a single member of the Fantastic Four or The X-Men on this comic-book one-sheet. Is this a big deal? It’s notable, primarily because characters like Wolverine and the FF were front and center back in 2007. But that’s just scratching the surface. We reported on tensions nearly a year ago, when the X-Men and the Fantastic Four were left off of promo materials for Marvel's anniversary program. 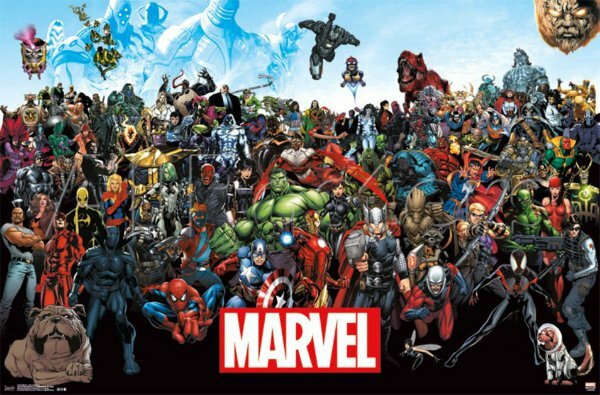 As Forbes highlights, in a lengthy article pointing out the different ways Marvel is striking back at Fox through comics and merchandising, Marvel writer Chris Claremont shared the fact that comic scribes were ordered not to create any new X-Men characters, because Fox would have the rights to put them in their movies. In addition, persistent online rumors surrounding this summer’s new "Secret Wars" storyline – taking place in the various Marvel comics titles – suggest that the X-Men are going to be shuttled off our planet, and forced to fight future battles in outer space. Coincidences? Possibly. But sites like MoviePilot are taking the extra step to suggest that all of these moves are being made to weaken the brands of the superhero groups who are not part of the current MCU… possibly in an effort to force 20th Century Fox to return the X-Men and the Fantastic Four to Marvel Studios (similar to the way that Sony finally let Spider-Man swing back to Marvel). If you had two things, and on one you earned 100% of the revenues from the efforts that you put into making it, and the other you earned a much smaller percentage for the same amount of time and effort, you’d be more likely to concentrate more heavily on the first, wouldn’t you?" If that’s the plan, though, it’s not really working. Fox already has announced plans for The Fantastic Four 2, due in theaters on June 9, 2017. (Yes, this announcement likely was made to stave off Marvel.) And Fox has expanding plans for its X-Men properties. There’s a Deadpool movie in post-production that will use several Marvel mutants. Fox has revealed plans for a New Mutants movie, a third Wolverine movie, and a possible X-Factor film. If Marvel intends on bleeding out Fox through their own comic book and merchandising arms, it’s going to take a long, long time. But there’s no question that Marvel, the company, is making moves behind the scenes to damage the reputation of the Fantastic Four and the X-Men, and plenty of fans are starting to notice. You’ll recall that Marvel cancelled the poorly-selling Fantastic Four comic book title, even though execs claimed it had nothing to do with the upcoming movies. What do you think? Are these moves related to the future of the MCU? Is Marvel ultimately cutting off its nose to spite its face? Weigh in below.